Mary Ann was my good friend. We shared life in Carrollwood as wives, mothers, breast cancer survivors, soccer moms, and dragon boaters! She heard about an exercise scenario for breast cancer survivors from Moffitt and insisted I join her at a meeting at Carol Lee Banks’ house for a discussion about exercising to help breast cancer survivors. The exercise program turned out to be paddling a dragon boat! So, we decided to join Team Survivor Tampa Bay, aka The Pink Dragon Ladies. After a bit of practice, we got to race in the annual Tampa race at Channelside and that got us hooked on dragon boating. We both liked the exercise that dragon boating provided, and we looked forward to the Wednesday and Saturday practices. We also got to do some traveling, visiting exotic places like Tavares, Fl, Atlanta, GA, Burlington, VT, and Windsor, ON. The races provided some wonderful (and weird) experiences. But the highlight was at Windsor when Mary Ann drummed for PDL in the last race and we won by a boat length for the Division D championship! You should have seen the look of awe and joy on her face as our boat streaked to the finish. 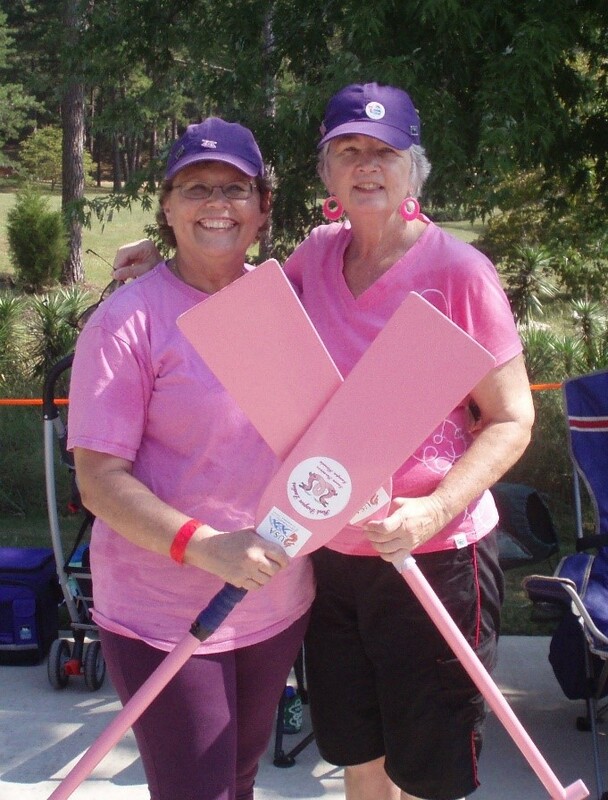 She totally believed in paddling together and reveling in all the accomplishments of the team!